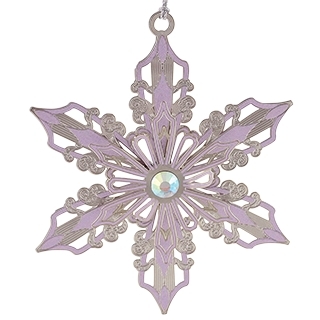 The subtle touches of lavender and the glass jewel on this Christmas snowflake ornament make it very special. Give it to your very special loved one this Christmas. It is heirloom quality and will be enjoyed for many Christmases.